It’s that time of year to curl up around a warm fire - New Years has just happened, the weathers getting a little chilly, maybe there’s a light dusting of snow on the lawn. You open the flue, light your kindling, and wait for the romantic crackling to start. But then you start wondering: when was the last time you got the chimney swept?! It may sound like something of a Dickens novel, but modern chimney sweeping is something every homeowner needs to do. Soot deposits can clog your flue, smoking out your house, or worse, soot can create a fire hazard. Sweeping also alerts you to any maintenance needs, and boy is it easier to repair a brick than replace the whole chimney! So how do you go about getting your chimney swept? Well, this is something best left to the professionals. The last thing you want to do is wedge a ladder up your chimney and track soot all over the house. 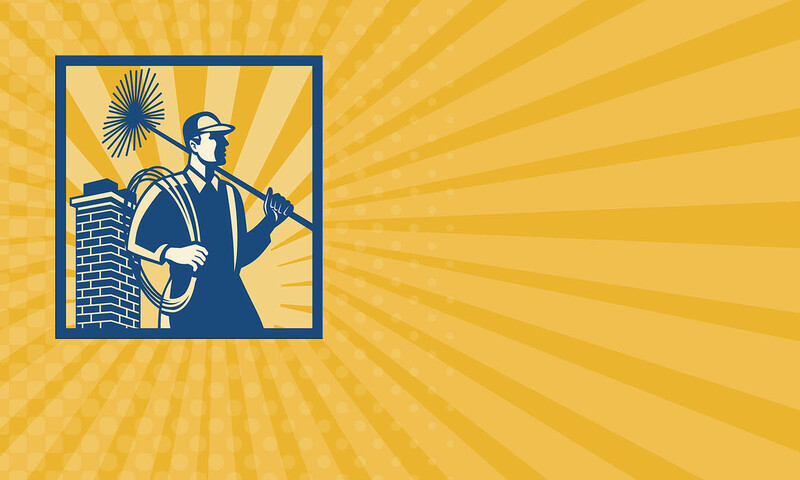 Find a local sweeper who’s certified by the Chimney Safety Institute of America, or the National Chimney Sweeps Guild. These groups ensure their members know what they’re doing with a brush, and can help diagnose any repairs that need to be made. Professional chimney sweeps will set up tarps that capture failing soot, and will first inspect the flue to make sure there’s no major damage. Cleaning is done with brushes (not boys climbing up!) and high powered vacuums. Cost typical depends on how many flues you have. While you may only have one firebox, other appliances in the house may have their own flues, such as dryers, heaters, and anything that needs to vent to the outside air. Average prices should start around $150 and go up to $200 if video equipment is used. Video better enables diagnose of damage. For a more thorough inspection, ask for a Level II inspection. So this winter before you pick out the movie and butter up the popcorn, make sure your fireplace is ready to go by getting it professional swept. And remember, it’s lucky to see a chimney sweep! DETAILS: Newsletters are published for the benefit of readers. Because information changes rapidly, content may be dated by the time it arrives and further out of date over time. Reviewing old newsletters should be done understanding when it was published. Authors are invited to submit news, articles and opinions by clicking on the Submit articles link. By doing so, submitters authorize the editor to publish such submissions additional news items on this and other websites without compensation, with and without credit to and naming of the author. Once submitted articles may can not be withdrawn. The publisher accepts no responsibility for mis-information or errors submitted to it. Please report inappropriate or undesirable linked news by emailing the website.